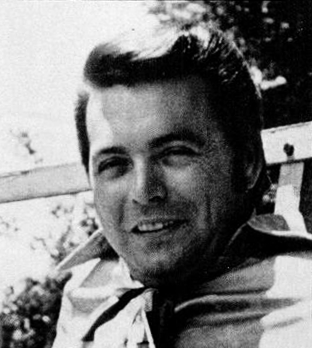 Mickey Leroy Gilley (born March 9, 1936) is an American country music singer and musician. Although he started out singing straight-up country and western material in the 1970s, he moved towards a more pop-friendly sound in the 1980s, bringing him further success on not just the country charts, but the pop charts as well. Among his biggest hits are "Room Full of Roses," "Don’t the Girls All Get Prettier at Closing Time," and the remake of the Soul hit "Stand by Me". He is a cousin of Jerry Lee Lewis, Carl McVoy, Jim Gilley and Jimmy Swaggart. According to the Federal Aviation Administration, Gilley is a licensed pilot, holding an instrument rating with commercial pilot privileges for multi-engine airplanes, as well as private pilot privileges for single engine aircraft.